I have just come back from four days in Italy and now I have a new to-do list with just one thing on it: ITALIA. Why oh why have I not spent more time in Italy? It has all the things I like (food, art, style, scenery, history, great people watching) and it's not as though it were far away. But apart from a memorable family holiday when I was five (we went to Venice, there was a gondola, I wore a hat, it was fabulous) and a brief trip to Rome a couple of years ago, my Italian adventures have been practically non-existent. Well, that's going to have to change now, obviously. 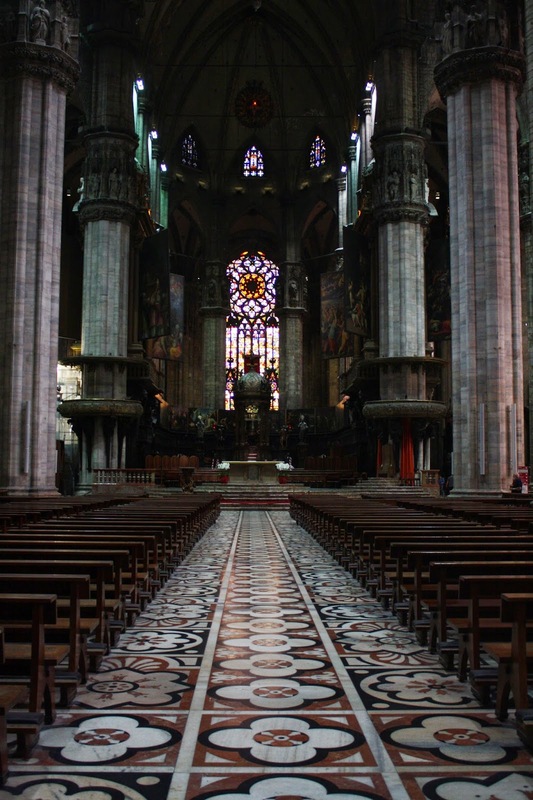 In the spirit of making up for last time, I did try to cram a lot into the past few days, starting with four hours in Milan on Thursday with Lady Traveller's Little Sister. 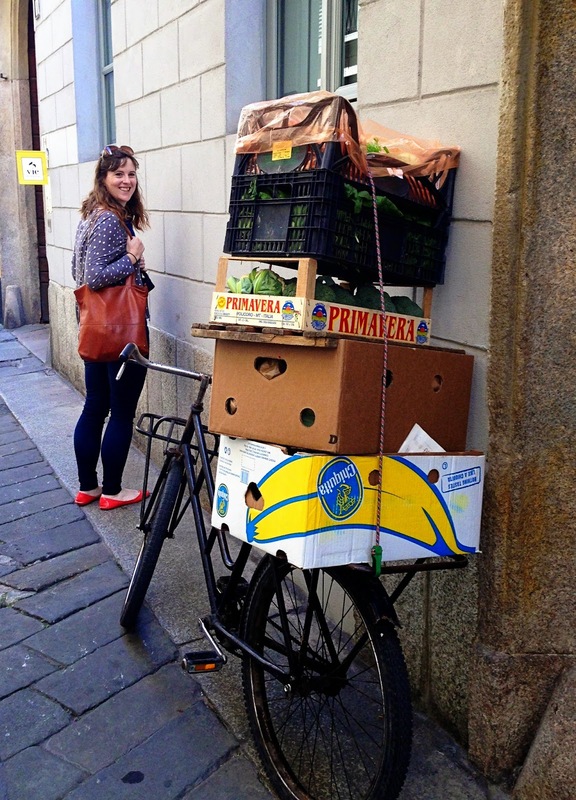 (This post has been brought to you by the number 4 and the letters I and M.) This photo of a delivery man's bike - and my sister looking admiring - sums up everything we loved about Milan. Fortified by good cappuccinos on arrival, we headed into the city and our most important appointment: lunch. 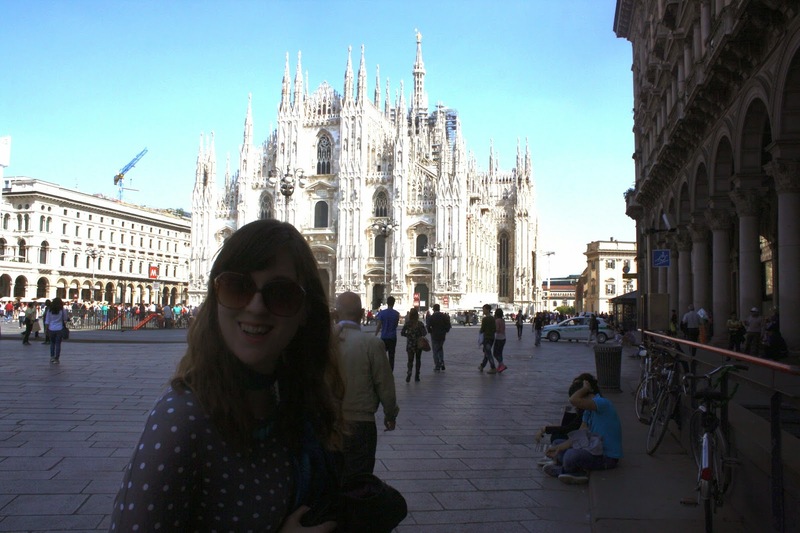 We had arranged to go to the Trattoria Milanese on Via Santa Marta, not far from the Duomo. 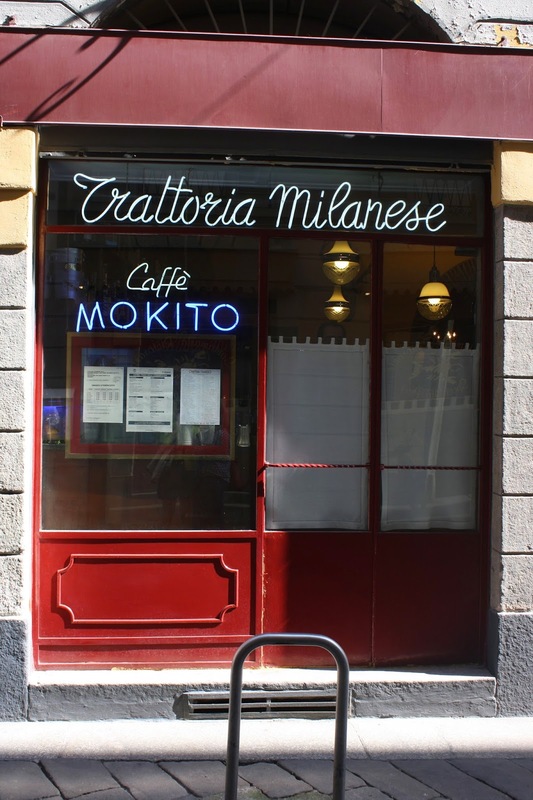 There are, you might not be surprised to hear, several restaurants called 'Trattoria Milanese' but this came recommended. 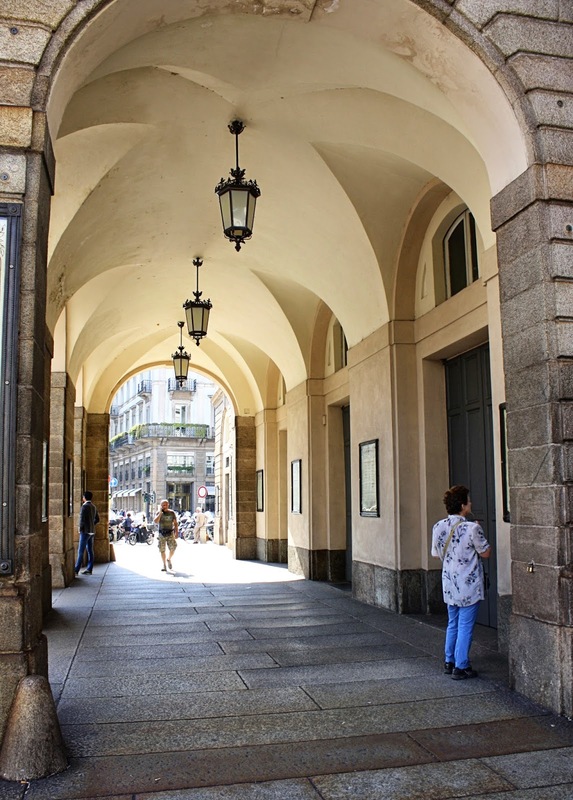 We loved it, from the paintings of dead animals on the walls, to the charming waiter, through tortellini and veal Milanese and wine and cantucci and caffe. We staggered out and walked over to the cathedral. Wedding cake on the outside, altogether more beautiful on the inside. 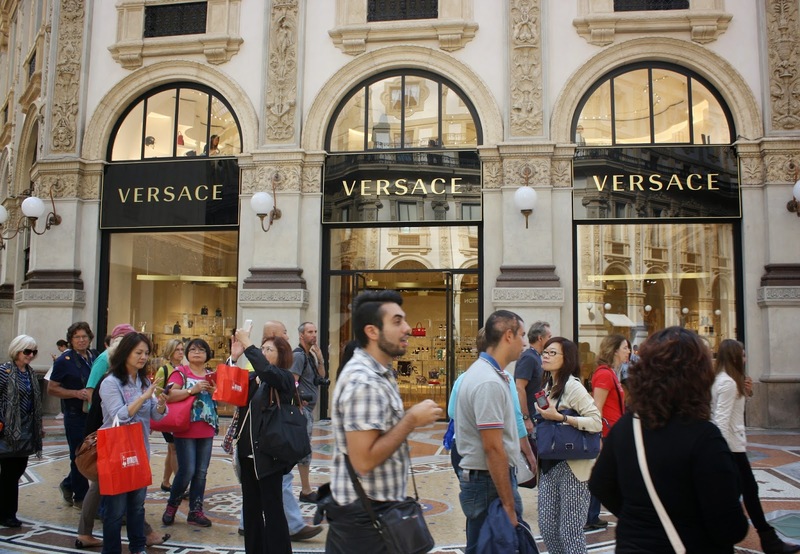 We then paid our respects in the Galleria Vittorio Emanuele - a 19th century shopping arcade - but luckily we didn't like anything we saw in the window of Versace (or Prada). On the other side of the Galleria is the Piazza La Scala and though we didn't have time for an opera, we did have fun at the opera shop (mini opera glasses, yay!) 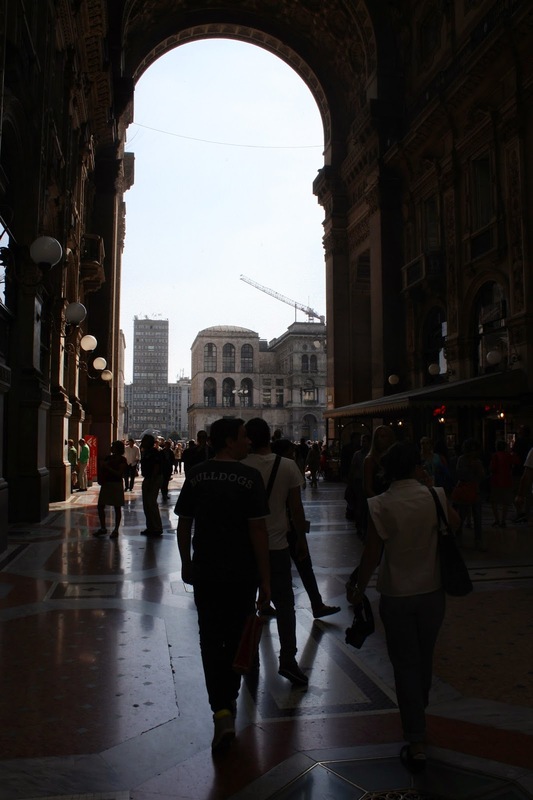 Funnily enough, although lots of other things in Milan are very bling, the opera house is relatively unadorned. 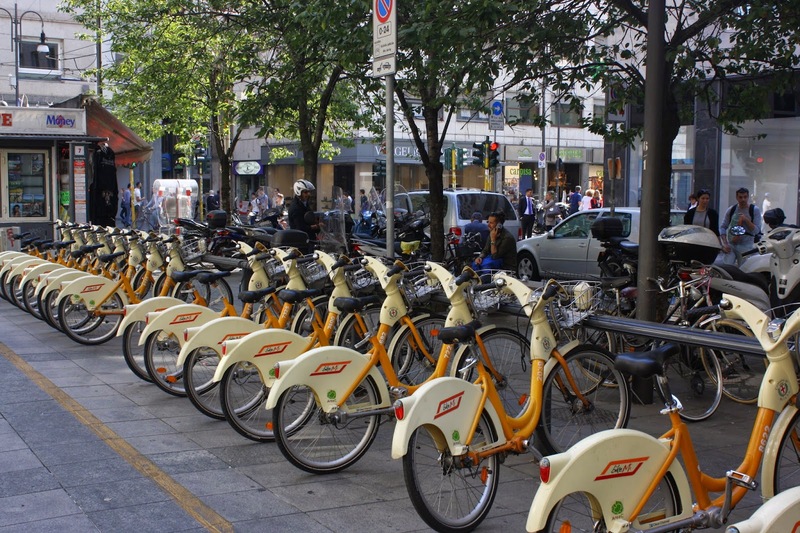 We enjoyed, very much, watching the glamorous Milanese go by, noting approvingly that the city bikes and trams were colour-coordinated. We wound up the afternoon at the very grand Stazione Centrale which has plenty of cafes, purveyors of snacks and fripperies. 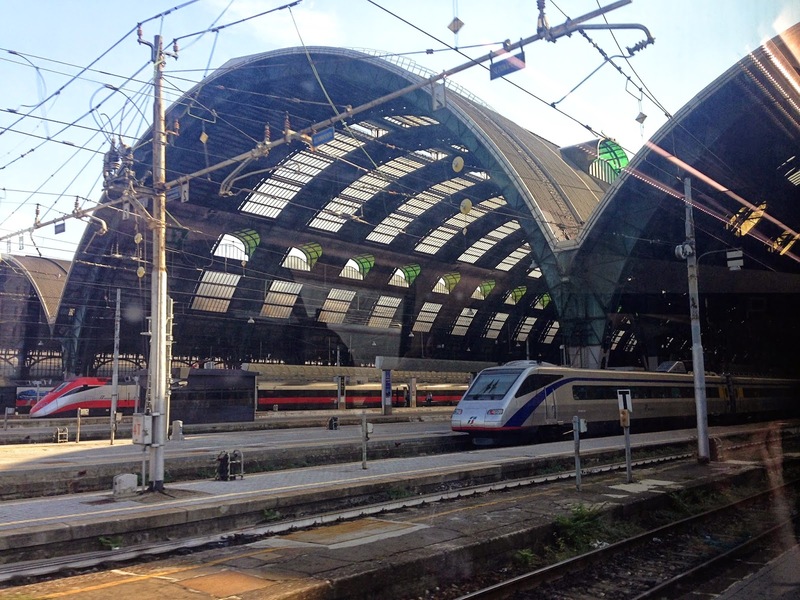 And then it was time to hop on board our train to Turin. Thank you! That does sound like something just up my street.